Getting a Comparative Market Analysis (CMA) from a real estate agent* Getting an appraisal from a professional appraiser. So, if you are interested in getting some general and preliminary information about a particular area or neighborhood, then Zillow is a cool site to surf. (Zillow does not offer live information so there is a statistical lag time, sometimes months old.) However, if you are making an offer, you must get the help of a real estate agent familiar with the area to help you make use of the information. 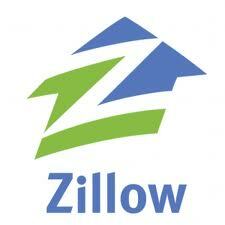 We have found Zillow to have wide fluctuations in their estimates that do not reflect the facts on the ground. Only 33.3% of the 1.5 M properties listed in Zillow with Zestimates, in the Phoenix area, come within 5% of the actual sales price. Agents, for instance, can’t determine the condition of a property by the listing description or even by the pictures that accompanied it. These sometimes, we find, are slightly manipulated for marketing purposes without having to be misrepresentations, but a subjective view of a given property. Therefore a formula can’t account for all of the nuances and variables, just as it cannot visit the property to confirm any of its presuppositions. So, we give Zillow 3 stars out of 5. If you need a real Market Analysis on any property in Metropolitan Phoenix, we would be more than glad to email you one… free of charge. Since we do not take listings, you can rest assured that no one is going to follow up to solicit one.